Hummingbird Scramble Squares - Fun for the whole family! Easy to play, hard to solve! 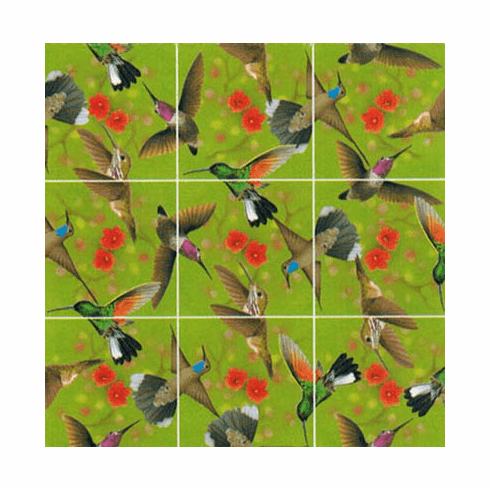 Test your skill at puzzle solving with this 9 piece beautifully artistic puzzle. See who can solve it the fastest. Award winning creation made in California. Each puzzle contains interesting information about hummingbirds. Helps maintain mental agility at all ages. 12 inches square assembled puzzle.